Instagram is one of the most famous social media platforms where you can share photos, videos and send text messages to your friends. With the growing hype of using Instagram, text messaging on Instagram is also using. So the messages that you send to a lot of people are maybe important to you. The problem starts when you accidentally lose or delete your Instagram message. This is really stressful and unwanted for anyone especially when you don’t know how to recover deleted Instagram messages on iPhone. If you are reading this article, you have come to the right place for learning Instagram message recovery on iPhone. You can easily recover Instagram messages from iPhone in 5 easy ways if you follow the guideline from here. So without wasting any more time, let’s learn how to see deleted messages on Instagram from iPhone. You need to use software that can help you to recover Instagram direct messages from iPhone. 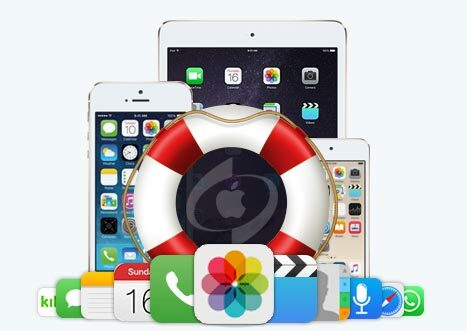 So the best way to do it is by using iBeesoft iPhone Data Recovery software. 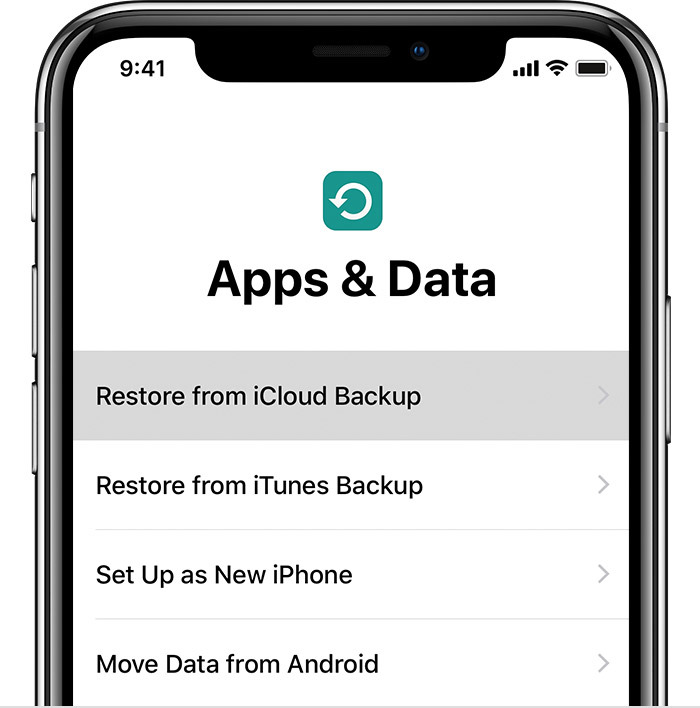 It will easily allow you to recover deleted Instagram messages from iPhone, iPad and iPod touch, iTunes and iCloud backup files. The user-friendly process and advanced features make this tool a one-stop data recovery solution for iOS devices. It can easily recover photos, videos, messages, contacts, call history, Instagram, etc. from iPhone. There are 3 different modes available to recover Instagram messages – iOS device, iTunes backup, and iCloud backup. It will help you get back all your data from any situation such as accidental deletion, system crash, virus attack, restored to factory settings, stolen or damaged, etc. A whole lot of operating system versions are supported including Windows 10, 8.1, 8, 7, Vista, XP, 2000 and Windows Server, iOS 11, iOS 10, iOS 9, iOS 8 and iOS 7. There are 3 methods that you can use to recover deleted Instagram messages on iPhone. This part will help you learn all the 3 methods in a step by step process. Choose your method wisely and get back all your deleted Instagram messages. If you don’t know how to recover deleted Instagram messages on iPhone, then the "Recover from iOS Device" option of iBeesoft iPhone Data Recovery can help you. Install the latest version of iTunes tool on your computer. 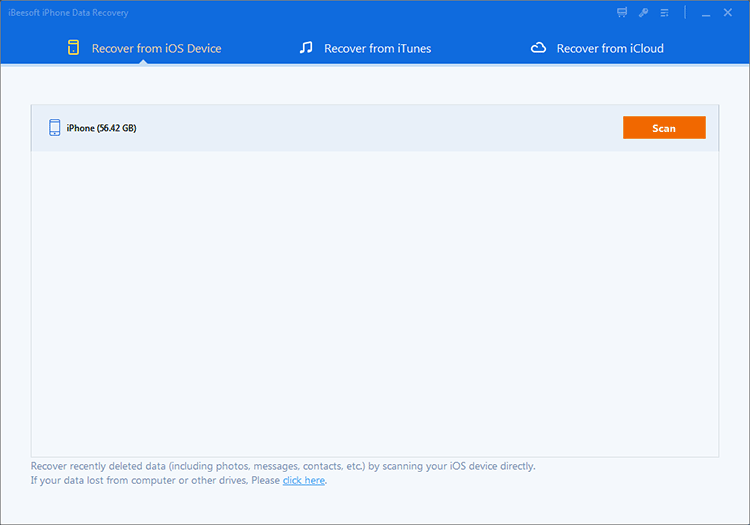 This method will allow you to restore deleted text messages directly from your iOS device. First, you need to download and install the software on your computer. Then launch the software and connect your iPhone to your computer with a USB cable. Then click "Recover from iOS" option from the home interface. Your device will be automatically detected by the software. Then tap on "Trust this computer" on your iPhone if it’s is not detected. Now click on the "Scan”" button to scan your iPhone. Keep patience until the software displays all the lost data on the computer screen. Now you can easily preview your deleted Instagram messages and choose the ones that you need to recover. Finally, you need to click on the "Recover" button to recover deleted Instagram messages from iPhone. You can retrieve deleted Instagram messages on iPhone with the iCloud backup file. 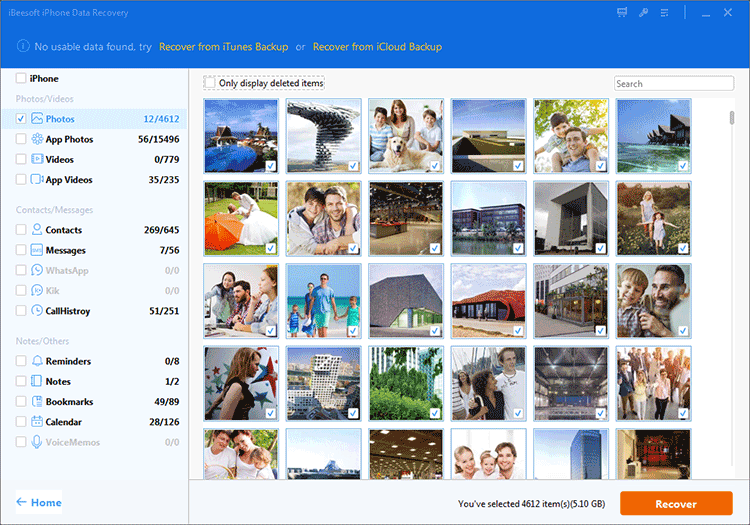 The problem is you will lose all your current data and settings in order to restore the iCloud backup file. So if you don’t want to do it, simply follow any previous method. Here is how to do Instagram message recovery on iPhone. You need to navigate to the "Settings" menu on your iPhone and select "General". Then tap on "Reset" and choose "Erase All Content and Settings" option from there. Next, when your iPhone restarts, you need to select "Restore from iCloud Backup" from the "Apps & Data screen ". Then log in to your iCloud account by using the credentials. Finally, you need to choose the iCloud backup file that has all your deleted Instagram messages. Then the iCloud backup file will automatically start to restore on your iPhone. You need to wait until the process is finished. Your iPhone will restart automatically and you will find all your deleted Instagram messages. Restoring deleted Instagram messages from iTunes backup is another option. This is an official method but it doesn’t guarantee you anything. So if you want a successful deleted Instagram messages recovery, I suggest you use any method by using iBeesoft data recovery software. First, you need to launch iTunes in your PC and connect your iPhone to your computer by using a USB cable. Then tap on "I trust this computer" on your iPhone so that your iPhone gets detected. Now select the iPhone icon from the iTunes interface. Next, select "This Computer" from the "Backups" tab and click on the "Restore Backup" button from here. Now select the backup file that contains your deleted Instagram messages and click on the "Restore" button from the popup window that appears on the screen. Make sure that your iPhone stays connected till the restoring process is finished. After the process finishes, your iPhone will restart automatically and it will sync to your computer. Instagram messages are very important to us so there is no option to lose them at all. Still, if you accidentally lose or delete them, you can learn how to recover deleted Instagram messages on iPhone from here. These 3 methods will help you to recover deleted Instagram messages on iPhone in no time. If you want to get back all your Instagram messages safely and securely, then you need to start using iBeesoft free iPhone data recovery. This will give you a 100% guaranteed solution to your problem.